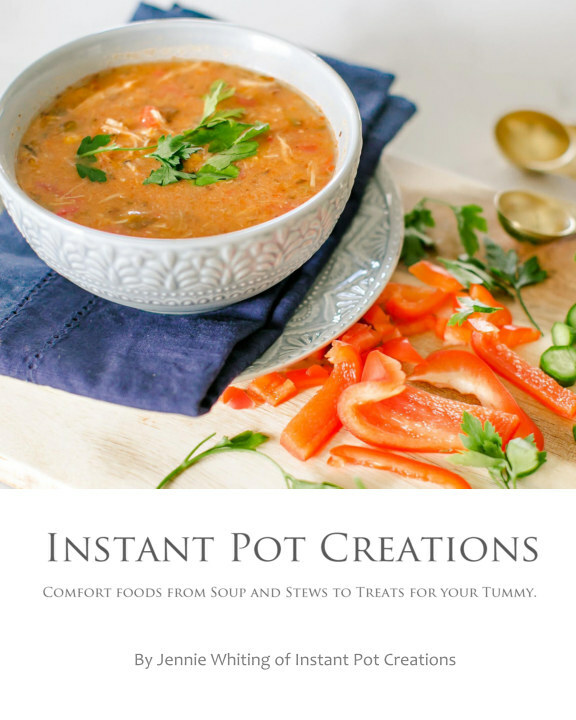 This Instant Pot cookbook is full of comfort foods from soup and stews to treats for your tummy. Recipes that are fast, healthy AND delicious made in your Instant Pot. Get in and out of the kitchen and feed your tummy nourishing food in a flash. Almost all of the recipes offer one pot cooking, without the headache of washing lots of dishes afterwards. Because I hate doing dishes too. Choose from 12 main dishes of soup, stew and other comfort foods to get dinner on the table in a jiffy. Need quick and healthy breakfast ideas? 8 warm and filling breakfasts will help keep you satisfied until lunch. No recipe book is complete without some tasty treats! 5 indulgent treat recipes made without refined sugars are included as well! This book contains 25 recipes that will get you fed in a flash. All recipes are gluten, soy, tree nut, dairy free. Many recipes have Whole 30 and Paleo friendly options and some vegetarian as well All recipes are family friendly and taste delicious!